Just received this press release from Pamela's, a great company that makes delicious gluten free mixes (along with awesome GF chocolate chip cookies). See my previous post about Pamela's 2009 gluten free recipe competition here. (Ukiah, CA--May, 2009) Pamela's Products, an award-winning leader in the gluten-free arena is launching a new Cornbread & Muffin Mix. Conveniently packaged in 12 oz. bags, the new gluten-free cornbread mix can be used to bake cornbread muffins, cornbread, cornbread dressing, sweet and savory tart crusts and many other delicious variations. With national distribution beginning in April 2009, Pamela's Products Gluten-free Cornbread & Muffin Mix will be stocked with major grocery chains and local natural food shops. It will also be available online at Amazon.com. A staple in Southern cooking and a long time American comfort food, this cornbread baking mix provides a gluten-free alternative to this traditional food. The Cornbread Mix can be morphed into both savory and sweet recipes for breakfast, lunch and dinner. All of Pamela's Products baking mixes may be used in place of wheat-based mixes in a family's recipe roster. The mixes were developed, by company founder Pamela Giusto-Sorrells, to be quick, easy and delicious, with minimal effort. "It's important for me to produce delicious gluten-free alternatives for people who have to, or choose to, follow a gluten-free diet. Food is something that everyone should be able to enjoy, for every occasion. I created Pamela's Cornbread because cornbread is one of those foods that holds fond memories of my childhood. It reminds me of my family gathered around the table, quickly spreading our warm pieces with butter and honey before they cooled off! As we ate, melted butter and honey would drip from our fingers. Simple, warm and delicious!" states Pamela Giusto-Sorrells. Pamela's Products are a tried-and-true staple for those on a gluten-free diet including Celiacs. Celiac Disease is the world's most common autoimmune disease, with the only treatment today being a strict adherence to a diet devoid of gluten. Gluten is most commonly contained in wheat (durum, semolina, kamut, spelt), rye, barley and triticale. 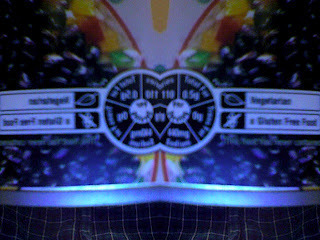 (For more complete information, please visit www.gluten.net, "About".) People with autism spectrum disorders, cancer, wheat allergies, alternative diets, and even those adhering to a Kosher or 'natural' diet, also frequently turn to Pamela's Products for satisfying that sweet tooth or simply for making bread or pancakes. 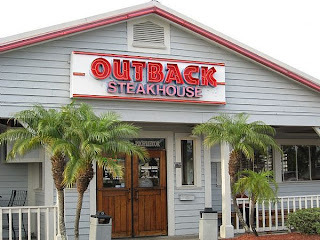 Found a nice article here that gives a bit of background info as to the creation of gluten free menus at Outback Steakhouse and Uno's Chicago Grill. The article comes from a news station in Binghamton, NY. I have a special affinity for Spain -- I spent 8 months of my time in college there. For five of those months I lived with a host family. It was a fantastic experience; they were wonderful about cooking gluten free for me. My host mom made the most delicious tortilla española, a concoction of eggs and onions that is served all day. Don Quixote and I chilling in Alcalá de Henares. Being a Celiac in Madrid was not easy. Spaniards love their bocadillos, sandwiches of jamón serrano (ham). It was difficult to travel around the country, never knowing what would be available. I relied on a lot of tortilla while I was in Spain, as it is a generally safe recipe for Celiacs. Another generally safe option is gambas al ajillo, which is basically shrimp drowned in olive oil and garlic; it was always my favorite dish to get while enjoying a lazy day in Plaza Mayor. I also speak Spanish, so that helped me in communicating my allergy to waiters and cooks. 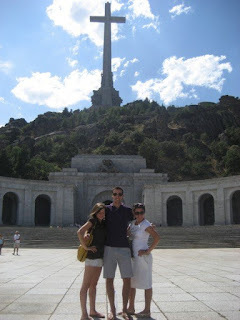 Elien, Erica and I in Valle de Los Caídos, a little outside of Madrid. For those who don't speak Spanish but are headed to Spain with a gluten allergy, I've just found this great site written in English! The site is part of the Asociación de Celiacos de Madrid and helps non-Spanish speakers with gluten free possibilities in Spain. While there are no specific restaurants listed on the site, it gives a good guide as to what is and is not generally gluten free. 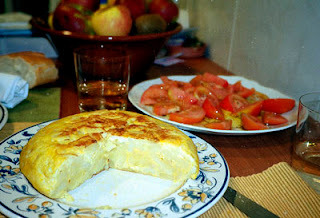 Included below is a recipe for Tortilla Española. I'm not by any means a cook so I haven't yet tried the recipe, but I thought I should pass it along for my more curious readers to try it out. My personal serving suggestion is to eat it with a side of fresh tomatoes -- delicious! Crack the eggs into a bowl. Whisk with a fork and add a pinch of salt. Heat some oil in a frying pan (not one with a heavy base as this will prove to be a hindrance when preparing to do the flip). Add the potato and fry for a couple of minutes. Add the onion and mash together. When the potato starts to brown a little on the edges and is mashed up with the onion in a lumpy fashion then add the eggs. Make sure the potato and onions are fully submerged by the eggs. Poke the potato to allow some of the egg to seep into the mashed mixture. Fry this gently on a low heat. While cooking shake the pan to loosen the tortilla from the base and tidy the edges up with a wooden spoon. Do not over cook. The middle is meant to remain runny and gooey. The egg will start setting, as this happens place a plate over the pan, a large enough plate to cover the pan substantially, and with a quick co-ordinated movement of both wrists ?flip? the tortilla over onto the plate and slide back into the pan to cook the underside. Keep shaking the pan lightly so the tortilla does not stick to the bottom. Once it feels firm on the edges and soft in the middle (after about 1 minute) then slide the tortilla back onto the plate. For the brave heart you can do the flip again if you wish. Let the tortilla rest for about 5 to 10 minutes before serving. Cut into cake slices or cubes. Garnish with green olives. A reader recently passed on some information about a gluten free bar that she found in her local Whole Foods. They are made by NuGo Nutrition and are smaller than ThinkThin bars, with less protein and calories (see my previous post about ThinkThin bars here). The NuGo bars that are gluten free are part of the NuGo FREE line, and are explicitly marked gluten free on the front of the packaging. The bars are marked gluten free and come in three flavors: Dark Chocolate Trail Mix, Carrot Cake, and Dark Chocolate Crunch. The reader who recommended them distinguished them from ThinkThin bars, writing that they had "a much different consistency" from ThinkThin bars. She said that NuGo bars taste "like a hard but chewy dark chocolate covered rice krispy treat." Gluten Free beer, you ask? Yes, it does exist! The other day while I was shopping at Locali (look for a full post later), I picked up a bottle of New Grist and decided to try it out. I haven't tried a gluten free beer in years, after my brother bought me a six pack while I was a sophomore in college. Even though in high school I drank my fair share of beer (ssshhh, don't tell my parents) once I was diagnosed with Celiac I cut beer out of my diet. After tasting New Grist... I probably still won't add it to my diet. I think beer just isn't for me. However, in my (limited) experience) with gluten free beers, I can definitely say that this one is great. 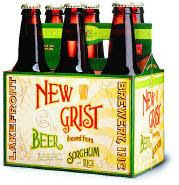 Unlike other gluten free beers, New Grist isn't too heavy and tastes like beer, from what I remember. Wondering how to make a scrumptious gluten free dish for the upcoming Cinco De Mayo? Well look no further! I received an e-mail today from Pamela's Products today telling me of a great contest they have going on for who can create the best recipe (using their products, of course). 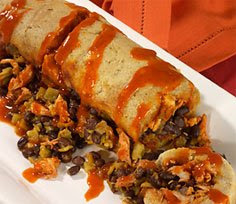 Last year's winner was a gluten free tamale-style stuffed bread ecipe and is also included below. Check out the website here for more information about this year's contest. If you decide to join, good luck! Otherwise, enjoy the recipe! 2) In a bowl, combine the flours. Mix chicken with 3/4 of one can of enchilada sauce. With a mixer beat together the lard and baking powder on medium speed, about 1 minute. Slowly add the combined flours as you continue beating. Gradually add 1/3 to 1/2 cup of room temperature broth until the dough becomes like a soft cake-like batter. 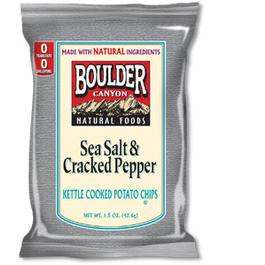 Salt & pepper to taste. 3)Line a 9-inch loaf pan with parchment paper, with plenty of overlap and extended edges. Remove paper and flatten on work surface. Spread dough in a 9-inch x 15-inch rectangle about 1/2-inch thick. 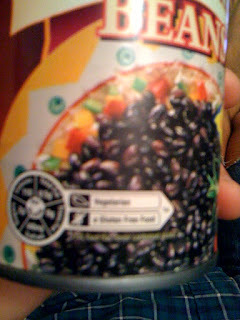 Spread a layer of chicken on the dough, followed by the black beans and green chilies. Pour on remaining enchilada sauce. 4) Roll up the dough jelly-roll fashion and lower gently, using the parchment paper, into the loaf pan. Trim and fold over the paper, then cover the loaf pan with foil and bake for 1 to 1-1/2 hours. Just found this -- a great Allergen Menu from Chipotle! 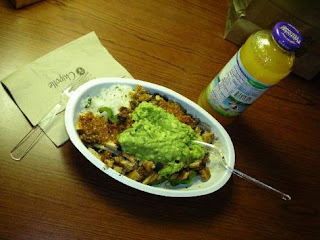 Coming from the east coast I hadn't been very exposed to the Chipotle phenomenon. But here in L.A. it seems to be a go-to place for quick food. There's a location right by my school, so I'm always going there during late night study breaks. I usually order the Vegetarian bowl with a side of chips and guacamole. Check it out! 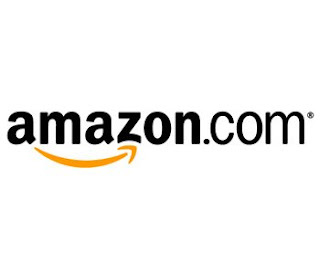 There is a great gluten free sale going on at Amazon.com! Note that not all products on sale are gluten free, but it seems like there are some deep discounts to be had! 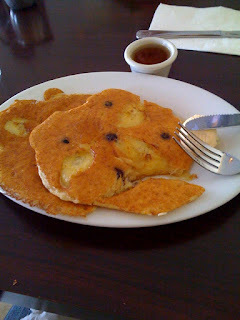 Thanks to Elise over @ FoodFanataholics for the link! Just a quick blog update -- while comments were not moderated before, they will be now. I recently received a spammer who enjoyed putting up ads in the comments section. This makes it easier for me to control the comments by such spammers. But don't worry, all real comments will be quickly added to the blog! Just found this allergen warning on Chili's website. The site says that the menu updates on a monthly basis, so please check back frequently. 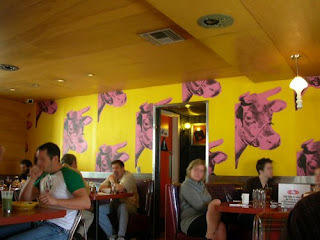 Just checked out a great place near Beverly Blvd & Fairfax: Swingers. Swingers is a throwback to the '50s style diner, replete with bar service and outdoor patio seating. There's also some funky wallpaper (as you can see in the picture below). I can't wait to check this place out in the summer with the patio. I ate here on my first trip to L.A. when I was originally thinking about moving out here, and I was lucky to have a great friend who showed me around the city and took me here for some late night vegan chili fries. 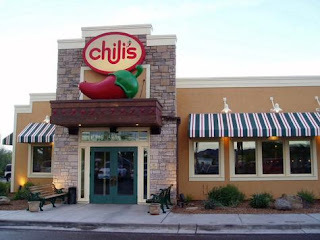 It was those chili fries that made me fall in love with Swingers. It's a great place for a hangover brunch or late night snack -- it's open until 4am every day! This is one of the only late night places in L.A. and even better than that is that it is a healthy late night place, with clearly marked options for vegetarians and vegans. As for us Celiacs, I had a very friendly waitress who brought out a typed list of the gluten free items on the menu. She told me that a waitress at the restaurant has Celiac and she had made the effort to create a GF menu for anybody interested. I suggested to the waitress that they should mark their menu gluten free (they already marked Vegetarian/Vegan) options and will call to speak to a manager soon to see if a more official gluten free menu can be made. I ordered the huevos rancheros and was not disappointed. They were served with guacamole on the side, a great (and not too spicy) sauce, and a corn tortilla underneath. I think the corn tortilla was of the Mission brand, which are marked gluten free and are available in grocery stores. I added a side of turkey bacon (my personal favorite). The portions were huge and not too expensive. I recently received a facebook message (add me here!) from a reader asking if I knew of any gluten free body products. I have heard people talk about their sensitivity to certain products, but never noticed any myself. However, now that I've done some research, I've noticed how difficult it is to find clear information regarding the ingredients in many "natural" beauty products. I've compiled a list below of some I found! I used to be a Burt's Bees lip balm addict but I recently switched to Blistex. Maybe I'll switch back considering how helpful the company has been in compiling a list of gluten free products. 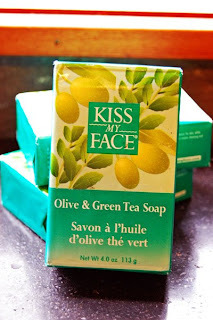 Kiss My Face is another line that is sensitive to Celiacs. On their website's FAQ page they list products that are gluten free. However, the company stresses that they cannot guarantee that there is no cross contamination, and thus people with severe intolerances should be warned. I called Neutrogena this morning and the woman I spoke with was extremely unhelpful in answering my questions about what products were gluten free. She informed me quite curtly that there is no listing of all of the GF Neutrogena products and that instead you should call Neutrogena with specific product concerns. 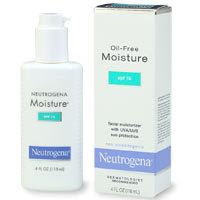 On a sidenote the oil-free moisturizer I use is gluten free. Thanks to Gluten Free Optimist for bringing this to my attention -- all Vaseline products, except for the Total Moisture Lotion (packaged in a yellow bottle), are gluten free! Check her full product review here. Here is a great site with more gluten free cosmetics information! Let me know of any other gluten free body products! UPDATE: I recently visited Yard House again with my friend Ashley -- she had been there the prior week and told me that they now serve gluten free beer. They carry Redbridge, and I was told by the manager that it should be available at Yard Houses nationwide. 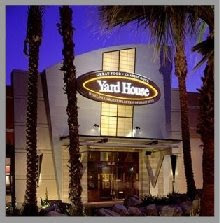 I stopped in at Yard House at L.A. Live on Friday before an amazing concert at the Staples Center. It was my first time taking advantage of L.A. Live. As somebody who is new to L.A., I love the idea of being able to walk to restaurants and entertainment. Anyway, my three friends and I met for drinks and dinner at Yard House before the concert. A quick glance at the menu didn't provide me with many options. I asked about the spicy tuna appetizer, but was told that it was pre-mixed with soy sauce. However, after looking at the website, I found a gluten free menu that says the Spicy Tuna dish can be prepared! In my honest review, I did not think the service was great at Yard House. This could be chalked up to the fact that the restaurant was packed with people before the concert; I did not see one seat in the house (even at the bar). I was also surprised by how enormous the L.A. Live branch was -- it could easily fit 250 diners. Now that I have found the gluten free menu (I didn't see it before going!) I will have to check out the restaurant again! Oh, and, in case you were wondering... the concert was Britney's Circus tour and yes, it was amazing. I love yogurt; I think it's a great light snack for in between meals. Unfortunately, as I started to eat more and more of it after my move out here to L.A., I felt worse and worse. I was primarily snacking on Ralph's brand Lite yogurt, but whenever I would snack on one I would notice that I did not feel well. Enter Whole Soy & Co. 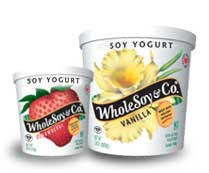 I've had Whole Soy yogurt before, but never made the transition to exclusively eating it. Now it's all I eat. It's available my local Ralph's and is marked Gluten Free on the back of the packaging! I actually think that the soy yogurt is much creamier and smoother than the Ralph's Lite yogurt I was eating before. It might take a try to get used to it, but I know that I feel much better after having cut the other yogurt out of my diet. I've never tried the brand's frozen soy yogurt, because I've never seen it available. Instead I stick to the yogurt, usually opting for the Vanilla, Lemon, and Strawberry flavors. All three are great (the Vanilla is especially good with some Kix or Trader Joe's Granola). Babycakes' location has been discovered! The vegan, gluten free, kosher bakery will be located downtown on 6th street between Main and Los Angeles. As a Downtown resident (albeit one who is moving out soon) I'm happy to see that Downtown's resurgence is continuing. I think Downtown has a lot of potential as a truly walkable part of Los Angeles. Coming from the east coast, all of the driving here in L.A. has been a rough adjustment for me. I was so happy last night when I was able to walk to and from the Staples Center. 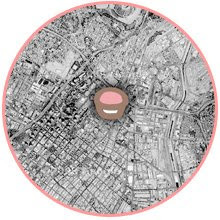 I understand that L.A. may never be a truly walkable city because of its sprawling nature, but I fully advocate for building up very walkable microcosms within the sprawling beast that is Los Angeles. I'll keep you posted as I get more information! Check out the full article here. Beginning May 5th, Starbucks will offer gluten free Orange Valencia cake nationwide! Check out Starbucks' blog post here for full details. If you are not on their e-mail list, Babycakes sent out a newsletter today with some great L.A. info. First, the bad news: the bakery will no longer open on Beverly Boulevard, by the Grove. The location was abandoned because Earnest Sewn, Babycakes' proposed co-tenant, will no longer be opening up the store due to the economy. Now, the good news: Babycakes has signed a lease in the "historic bank district" of Downtown L.A.! While no exact location was given, the map above was sent out with the newsletter and it seems that the location will be somewhere near Broadway. This is just a guess, based on the map, so we will have to wait and see! Babycakes wrote that they hoped to open the bakery "super fast," so here's hoping that it opens before the end of the summer! 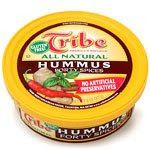 Tribe Classic Hummus, my personal favorite, is marked Gluten Free! In the picture above you can see, in the top left hand corner of the lid, a green circle that reads "Gluten Free!" At my grocery store the only available flavor is Classic, so I cannot vouch for whether other flavors are gluten free. However, the company very clearly marks its products Gluten Free, so picking up a gluten free Tribe hummus container is as easy as checking the lid. 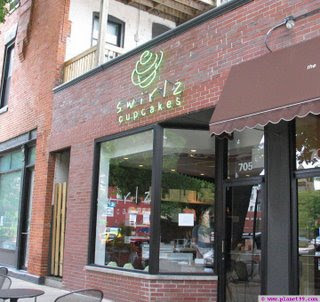 Just read about this great cupcake place in Chicago that serves up gluten free cupcakes, Swirlz Cupcakes. Hope you are enjoying for Kosher for Passover Sprinkles Cupcakes! If not, it isn't too late -- they are being made until April 15th! 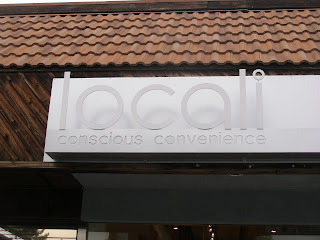 9635 Little Santa Monica Blvd. Recently news broke that a Celiac vaccine will begin testing in Australia. What does this mean for Celiacs? A gluten free diet could be a thing of the past. I'm no scientist, but I'll go ahead and try and become a science teacher for a brief moment. Specifically, the vaccine is meant to desensitize people who are gluten intolerant to limited amounts of gluten. Over time, the villi would be able to absorb nutrients from gluten. Normally, Celiacs' villi cannot absorb nutrients from gluten. Thoughts? Obviously the product wouldn't be available for years as it has to go through substantial testing. I'm so used to my gluten free diet that I can't imagine being able to eat pizza, bread, pasta... and I'm also not sure if I would trust the vaccine. While I normally don't question science, in this instance I'm not sure the vaccine is necessary. I understand the potential benefits, but I'm concerned about the effects. Could the vaccine really do away with the pain and suffering I felt when I was eating gluten prior to my diagnosis? I think, if the product is ever released, I would probably go ahead with getting the vaccine but still eat gluten sparingly. Perhaps only on vacation, when it is difficult to find suitable substitutes. What would (or will) YOU do? 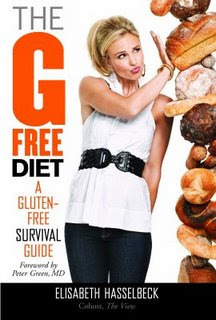 There is a short article featured on People.com today about Elisabeth Hasselbeck maintaining a gluten free diet and plugging her book, "The G-Free Diet." I'm sure that we will be seeing a lot more press as the book's release nears. A very reliable source just tweeted me letting me know that Hugh Jackman (Wolverine, Australia, X-Men, 2009 Oscar Host) and his family keep a gluten free diet! Look what a gluten free diet can do for you! My regular readers already know how much I love P.F. Chang's; the Chinese chain can do no wrong in my eyes what with their awesome gluten free menu that includes great entrées and desserts (the chocolate flourless cake is incredible!). Check out my previous post here. After seeing their latest special it is possible that I may love P.F. Chang's more now than I did before. They are offering 15% off the ENTIRE check on April 15th, Tax Day. Of course, it is always wise to call ahead to make sure this deal isn't prohibited in your area. There are tons of L.A. area locations, so be sure to head to P.F. 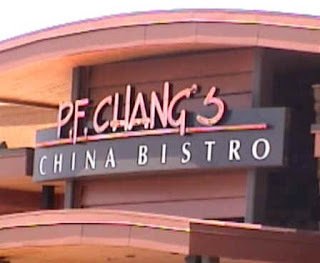 Chang's on April 15th (Wednesday!) for 15% off your entire bill. Click here to add your local P.F. Chang's to Gluten Free Maps, a great user-generated source for restaurants friendly to gluten free eaters. As you can (kind of) see in this picture, Ralph's Grocery is starting to mark Ralph's brand products as gluten free (if they are, of course). The mark is the lower description and includes a crossed out wheat sign (similar to a "No Smoking" sign). The mirror effect picture is because it's all I could do on my MacBook. Ralph's also has an entire page dedicated to eating gluten free eating. I haven't read all of the information, but it may be a good resource for your Ralph's shopping. It's always a sad reminder of my gluten free life when I have a friend visiting L.A. and they ask to go to Sprinkles. Walking into the cupcake shop on Little Santa Monica Blvd. in Beverly Hills is a veritable torture test for us Celiacs, as there is nothing GF friendly in the shop. That may change this Passover. Celiacs know that Passover, which this year begins on April 9th and continues until April 15th, brings tons of great gluten free food. Anything that is marked with Kosher for Passover and is sans matzoh, is gluten free. I always visit Whole Foods and stock up on Kosher for Passover treats to last me long after Passover ends. But that isn't the point. The point is gluten free cupcakes. And the tide may finally be turning in our favor. 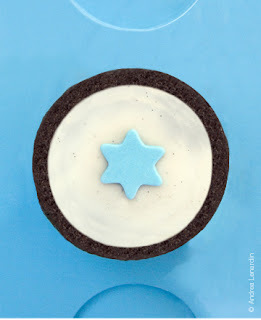 Sprinkles is making Kosher for Passover flourless chocolate cupcakes! HOWEVER, the cupcakes do contain a Star of David decoration which DOES contain wheat and the frosting is made of Bourbon. It is important to call ahead, and ask if they can prepare you a cupcake without the Star of David emblem or frosting. I just called, and they said it might be possible to make the cupcakes without the frosting/emblem if you call ahead. I'll update once Passover rolls around (mark your calendars!) as to whether they will make the cupcakes without frosting. Hopefully we will all be enjoying GF Sprinkles cupcakes in a month! UPDATED: I just spoke to Victoria from Sprinkles on the phone and she confirmed that the Passover cupcakes ARE gluten free if ordered without the frosting or Star of David. You can call ahead and order such cupcakes or order them online (order them online here). If you order them online, make sure to request them without frosting/Star of David and mention your allergy/intolerance/sensitivity in the "Notes" section of the order form. UPDATED Part II: Just picked up my gluten free Sprinkles cupcakes and I've already downed...well I won't admit to how many I've eaten! But I can vouch they are delicious and amazing. I'll be calling Sprinkles tomorrow to gauge the possibility of making these flourless chocolate cupcakes a more regular feature... call yourself to add to my chorus! I've already posted (here) about Rice Chex being labeled, quite prominently, as gluten free. Now news comes that more Chex cereals have been formulated as gluten free and will be available beginning June 1st! I have seen other bloggers saying that they have seen them in their local grocery stores, but have yet to see them out here in L.A.? If you have, please leave a comment! The new flavors are Cinnamon, Strawberry, Corn, and Honey Nut. Please note: General Mills told me on the phone that ONLY those cereals which are gluten free will be MARKED gluten free. So please look for a very a visible "Gluten Free" on the box before purchasing!! I just found a great blog post (here) with a list of gluten free Easter candy. Cadbury items this year are NOT gluten free!!. I'm sorry for any confusion; in the past they have been gluten free. This year, Cadbury used a wheat-derived glucose syrup and thus they are not gluten free. 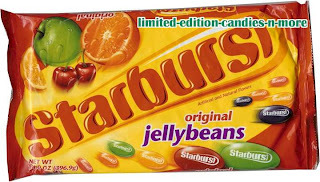 I'd also like to add that my personal favorite, Starburst Jelly Beans, are also gluten free! Enjoy! And Happy Passover/Easter! Which reminds me, I need to order my Sprinkles flourless chocolate cupcakes before it is too late! UPDATE: This year, Cadbury is testing a new formula that uses glucose syrup derived from wheat thus making their eggs NOT gluten free. Please see THIS article for details. Thanks to a reader, I was informed that the annual Celiac Disease Foundation Education & Food Faire is taking place Saturday, May 2nd in Pasadena from 8:30am to 4pm. I'm new to L.A. (and California!) so I have not attended the Faire, but after reading the line-up it seems like a great event. The registration may be a bit steep (at least $90) but includes gluten free beer and pizza tastings, gluten free vendor displays, and featured speakers discussing Celiac Disease. It seems like a great event and I'm sad I can't attend -- stupid law school finals get in the way. The registration fee also includes continental gluten free breakfast and lunch and a gluten free goodie bag! The link is included below. If you do attend, please send me an e-mail @ glutenfreewayLA@gmail.com of your impressions/photos of the event. Most importantly, let me know any new GF products you found at the Faire! The program also says that there will be local L.A. restaurant owners on hand to discuss eating gluten free at their establishments. Please keep me posted of any new restaurants that are found at the Faire! Just found a great new site: Gluten Free Maps. The site is very user friendly! It is a site with user-generated content, so sign up and add your favorite gluten free restaurants to the map to make it easier for us Celiacs when traveling! If all of you readers submits even one restaurant, the map will fill up quickly! I know that I have posted this up before, but I think it is a really great resource for us Celiacs. You can add addresses all around the U.S. and internationally. I've added about 10 restaurants so far (some in LA, some in NYC, some in Boston). Hopefully the map will keep filling up with your help! As a recent expat from Boston, I can honestly say I don't miss the wind tunnels, mounds of snow, and dreary weather of the city (sorry to any Bostonians reading this, but I'm becoming a spoiled SoCal kid). What I do miss, however, is Wagamama's gluten free menu. Wagamama is an Asian noodle shop that originated in London and crossed the pond, arriving in one of the easternmost major cities of the U.S. (sorry Portland, ME). When I was living in Boston there was only one location, in Cambridge, of this British chain; according to the restaurant's website there are now three spread throughout the city. As a frequent visitor of the Cambridge location, I was always pleased with Wagamama's service. I usually ordered takeout and was pleasantly surprised that the staff had wheat-free soy sauce available for us Celiacs. The noodles are great and there is an overwhelming amount of gluten free options available at Wagamama. 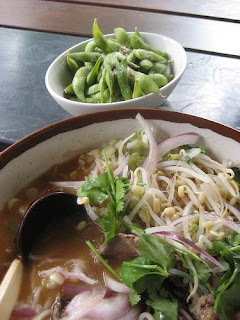 The noodle bowls are great and the edamame, prepared with the normal salt or, if you prefer, chili and garlic salt (my personal preference), is delicious! Wagamama is a worldwide chain with locations in the UK, Greece, Turkey, UAE, and other countries around the world. I've never been to a foreign Wagamama -- if you have, please leave comments below as to how they deal with gluten free food! Whether you are passing through Boston or one of the foreign locations, Wagamama is a great choice for Celiac friendly Asian noodles. My friend Hilary (thx Hil!) just informed that Balance Pure Bars are now labeled gluten free. 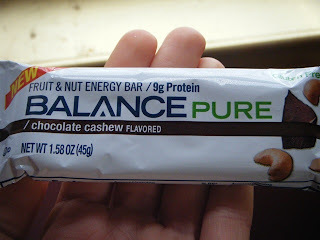 Balance Pure Bars are available in Chocolate Cashew and Cherry Pecan and are labeled gluten free. Although the photo above isn't very clear, I did check the website to confirm that the bars are labeled gluten free. Updated: The Chocolate Cashew bar is delicious! I've posted in the past about Gwyneth Paltrow's GF detox diet and Madonna's soft spot for ThinkThin bars. Now comes more Gluten Free celebrity news. I have to admit, I am a PerezHilton junkie and visit the site at least four times a day to get my daily gossip needs. I don't know why, but I'm hooked. You've definitely seen this girl in a movie -- she's been everywhere recently. I think I last saw her in "Yes Man" headlined by Jim Carrey. And guess what? She's allergic to gluten! Her strategy for maintaing the gluten free lifestyle according to an interview conducted by Time Out New York? She tells herself it isn't good for her anyway. As a fellow citizen of L.A. I'm crossing my fingers that I run into Zooey at one of my favorite GF spots. According to her IMDB page, Rossum, the lead in the 2004 film adaptation of "The Phantom of the Opera," is a fellow Celiac. You may also recognize her from "The Day After Tomorrow" with Jake Gyllenhaal. The official spokesperson for the National Foundation of Celiac Awareness, Collins is a CNN reporter who has worked on Anderson Cooper 360 and CNN Headline News. She reported on Celiac Disease during 2006's Celiac Awareness month (see clips below). Well now we know that after winning an Oscar in '06 for her role in The Constant Gardner, Rachel Weisz wasn't snacking on those puff pastries at the Vanity Fair afterparty. A BBC article recently mentioned that Weisz is wheat intolerant. 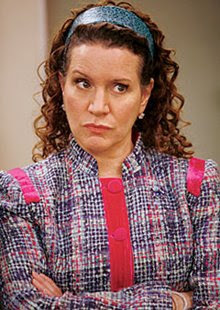 I absolutely love Susie Essman on "Curb Your Enthusiasm." Her role as a hilariously foul-mouthed and over-the-top L.A. housewife is one of the reasons that I tune in (and own a few seasons on DVD). She also lended her voice to last year's animated film Bolt. Check out this New York Times article where she mentions her dietary restrictions. 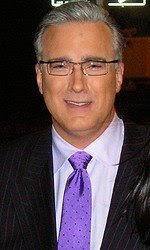 Another fellow Celiac, Olbermann has talked about being a Celiac various times on his show "Countdown with Keith Olbermann" (check it out here). I've posted about Ms. Hasselbeck before (check it out here and here) and I can't believe that I forgot to include her on this list... whoops! Thanks for your comments and reminding me of one of the best Celiac advocates out there. Do you know of any other GF celebz? Drop me a line! I haven't been here to check out the food yet, but I thought I should pass along this downtown tip to you readers! : My friend Dana just texted me telling me that Maria's Italian Kitchen Downtown marks their risottos gluten free! After confirming with the second page of Maria's online menu, it does seem that they mark their risottos as such. I will stop in soon and post up a full review, but in the meantime if you have any experiences at Maria's Italian Kitchen Downtown please leave them in the comments section! 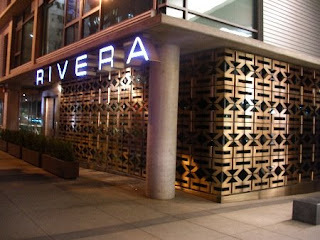 My parents are in town and, after reading the L.A. Times' review of Rivera, I decided to check Rivera out with them. I was very pleased with Rivera. My waitress was extremely helpful in choosing a gluten free dish and was conscious of my Celiac when I was choosing a dish, going so far as to suggest certain dishes which would be accommodating. To start I had the xnipek. I was originally a little turned off by the the dishes description of "Dog's Snout" salsa (it sounded a bit foreboding) but really enjoyed the spicy salsa that was served alongside thinly curled corn tortilla chips. For my entrée I ordered the trucha, a Tasmanian sea trout served with saffron quinoa and yellow gazpacho sauce. If you're a Celiac you probably already know that quinoa is a great gluten free gain, and the pairing here with trout was delicious. The dish needed a bit more sauce to add more flavor to it, but otherwise it was great. For dessert my waitress made sure the estudio en flan was gluten free, and it was. Flan is a traditional Spanish dessert that I ate plenty of times while living in Spain. The plate was artfully decorated with three different flavors of flan accompanied by three different sauces to go with the flan. I would highly recommend Rivera to discerning Celiacs; the help was very friendly and, although they don't have a gluten free menu, the serving staff seemed prepared to answer all of my questions about the preparation of the food. It's a very cool spot in downtown that fills up with a later crowd. Don't be fooled by the fancy decor, however; I was told that it is perfectly acceptable to eat at Rivera in a t-shirt and jeans after enjoying a game at the nearby Staples Center.